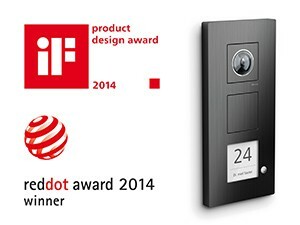 Long-lasting products with clear aesthetics, unique design, user-friendly forms and high functionality. With the experience and creative potential of a professional team, we create innovative, long-lasting and user-oriented products. 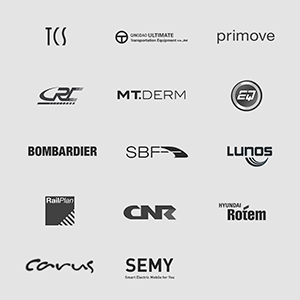 Together with leading manufacturers we are developing successful strategies and products. 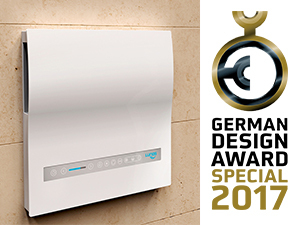 The TCS TASTA Indoor station was honoured with the German Design Award 2018. 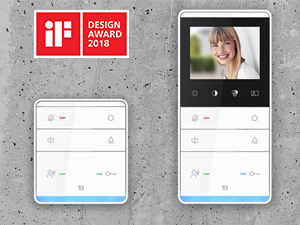 The TCS TASTA Indoor station was honoured with the IF DESIGN AWARD 2018. 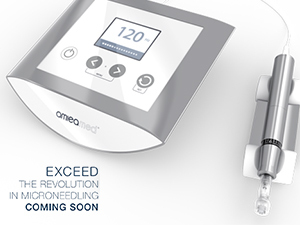 Nexxt – the new ventilation unit by LUNOS was honoured with the German Design Award Special 2017.
amiea med® EXCEED – The new instrument in the area of microneedling. 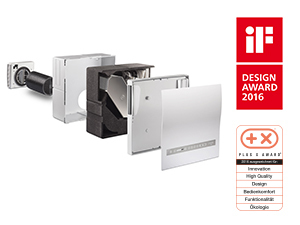 The design of Nexxt, a ventilation unit for LUNOS Lüftungstechnik GmbH was awarded with the iF Design Award 2016 and Plus-X-Award. 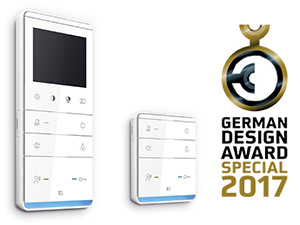 The exterior design for the new generation of the S-Bahn Hamburg was awarded with the Design Award Brandenburg 2015. 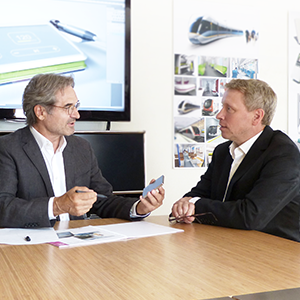 20 companies from the region Berlin-Brandenburg are currently developing a new electric vehicle. 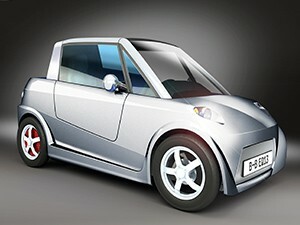 Today the SEMY – „Smart Electric Mobile for You“ will be introduced in Berlin. 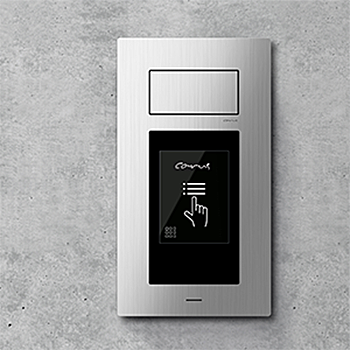 In 2015 LUNOS launched a completely new ventilation unit in the form of Nexxt: Nexxt is a decentralized heat recovery system that combines the benefits of decentralized and centralized control systems and is also the most silent unit of its kind. 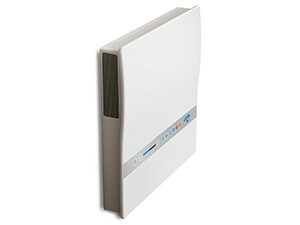 It enables control of ventilation in several rooms via just one unit. 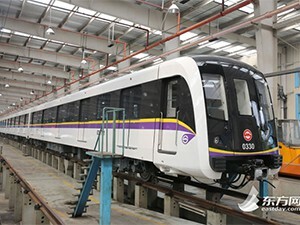 The new vehicles of the line 3 and 4 have arrived recently in Shanghai. The first 10 of a total of 35 trains put in service in the year 2014. 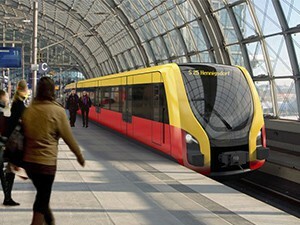 Hamburg gets 60 new S-Bahn trains: In 2016, the first rail cars of the newly developed Series 490 will drive through the Hanseatic city – today the S-Bahn Hamburg GmbH presented a 1:1 model of the vehicle. 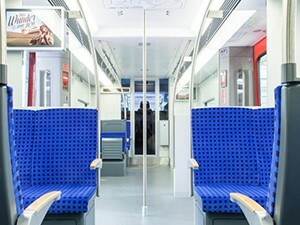 The new S-Bahn trains belong to Berlin. 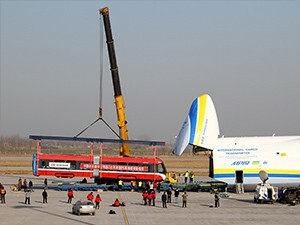 The first of five trams which Samsun Metropolitan Municipality ordered from CNR Tangshan Railway Vehicles has been delivered from China to Turkey onboard the world’s largest heavy freight aircraft. 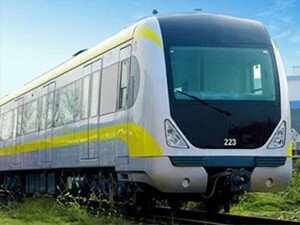 CNR Dalian has begun delivering 23 six-car Type B trains for Tianjin metro Line 2. 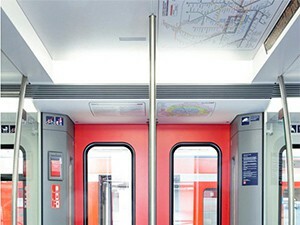 The air-conditioned trains have a total capacity of 1832 passengers and top speed of 80 km/h.